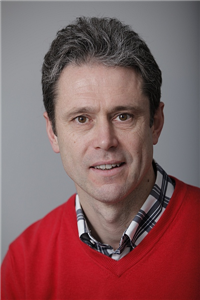 Erik Demeulemeester is Professor in the Research Center for Operations Management at the KU Leuven. He earned the degree of commercial engineer (field of Management Informatics) in 1987, the degree of Master of Business Administration in 1988 and a PhD in 1992, all from the KU Leuven. The title of the PhD was ‘Optimal algorithms for various classes of multiple resource-constrained project scheduling problems’. At present, he is Full Professor from 2001 on and currently teaches a course on quality management, a course on project and production scheduling as well as a seminar on production and logistics. His main research interests are situated in the field of project scheduling and health care planning and he has published many papers on these topics. The majority of publications in the extensive literature on resource-constrained project scheduling focus on a static deterministic setting for which a so-called baseline schedule is computed prior to project execution. In the real world, however, a project may be subject to considerable uncertainty. During the actual execution of a project, the baseline schedule may indeed suffer from disruptive events causing the actually realized activity start times to deviate from the predicted baseline start times. This tutorial focuses on robust project scheduling, in particular the development of effective and efficient proactive and reactive scheduling procedures. Proactive scheduling aims at generating robust baseline schedules that carry sufficient protection against possible schedule disruptions that may occur during project execution. Reactive scheduling procedures aim at repairing the baseline schedule when the built-in protection fails during the execution of the project. We discuss the fundamentals of state of the art proactive/reactive project scheduling approaches and discuss key directions for future research. 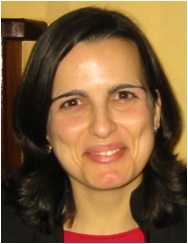 Dr. Mónica Oliveira is an Assistant Professor at the Engineering and Management Department, Instituto Superior Técnico (IST), Universidade de Lisboa and a Researcher at the Centre of Management Studies of IST. She earned a degree in Economics from the University of Porto in 1997, and an MSc and a PhD in Operational Research in 1999 and 2003 from the London School of Economics and Political Science (PhD research: “Achieving Geographic Equity in the Portuguese Hospital Financing System”). She mainly teaches courses on decision analysis models and applications and on health systems, and is currently the coordinator of the Clinical Engineering branch of the MSc in Biomedical Engineering at IST. Her main research interests are: decision and risk analysis models and applications; planning and optimizing health care networks; and information and decision support models in health care. Recent projects focus on the development of risk management tools using multiple criteria decision analysis, and on the development of methods to inform management and planning of hospital and long-term care services. She has been participating in several European projects and applied consultancy work, and has published in a wide range of international journals, including Health Economics, Omega: The International Journal of Management Science, Group Decision and Negotiation, and the European Journal of Operational Research. Risk matrices are adopted and recommended by many organizations, but risk analysis literature has shown that the way they are usually constructed violates some basic theoretical principles, giving rise to inconsistent risk ratings. This talk exploits ways in which multiple criteria and portfolio decision analyses can improve the design and the deployment of risk matrices. In particular, it introduces ‘value risk-matrices’, built with the MACBETH multicriteria method and MACBETH DSS in three modelling steps. Firstly, a value measurement scale is constructed on each impact dimension, and the value scales are additively aggregated into a cumulative scale of global attractiveness. Secondly, a subjective probability scale is built through the use of MACBETH. Thirdly, a value risk-matrix is designed based on the cumulative value scale, the subjective probabilities scale and the identification of risk categories. The (value) risk-matrix is the basis for identifying, prioritising and selecting risk mitigation actions, through the use of the recent portfolio decision analysis component of the MACBETH DSS. This new modelling approach for Improving Risk Matrices (IRIS) is illustrated with data from case studies developed at ALSTOM Power (Switzerland) and at the Occupational Health and Safety unit of the Regional Health Administration of Lisbon and Tagus Valley (Portugal).